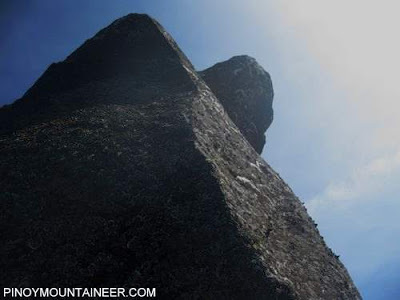 One of the latest accomplishments in Philippine mountaineering is the first ascent of Mt. Sicapoo, in December 2009. This expedition was the culmination of a series of explorations in Ilocos Norte spearheaded by the ONE Degree Mountaineering Group (ODMG). 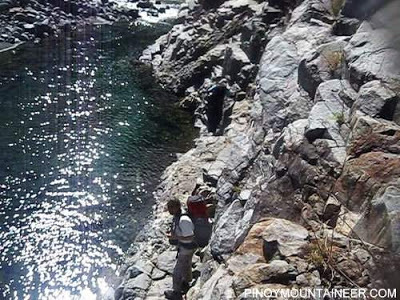 These explorations were chronicled in PinoyMountaineer.com as “Invitation to Ilocos“, written by Agnes Gloria-Pinzon. That Sicapoo would be the culmination of these explorations is natural and logical, the peak being the highest in the whole Ilocos Region, and in fact the northermost high mountain (>2000 meter) peak in the country. The first expedition, done in June 12-14, 2009, was to ascertain the summitability of the mountain and scout for possible trails. The blogger was able to join this expedition which led to the first mountaineering ascents of Mts. Timarid and Simagaysay, and the first traverse of these two mountains. Eventually these mountains were, and the trails would serve as the same trails for the future Mt. Sicapoo . The third expedition in December 27-30, 2009 led to the first ascent of Sicapoo. 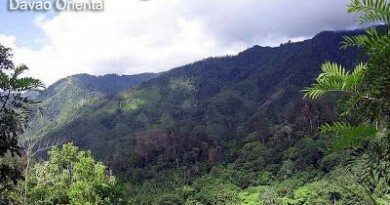 The trail-less assault to Sicapoo’s summit was described as “treacherous, steep climb”. 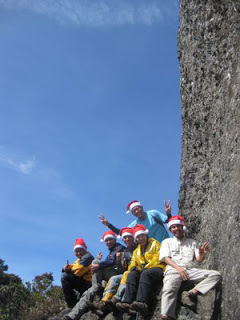 As of 2011, several other groups, including the blogger’s, have climbed Mt. 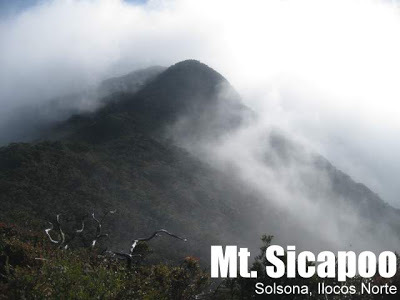 Sicapoo, and they give the opinion that Sicapoo is one of the most difficult mountains in climb in Luzon island (See Hiking Matters #129, 130,131). Climbers have compared its difficulty to Mt. Halcon; treacherous parts such as the summit ascent; the steep ridges; and the river crossings where sudden flashfloods have imperiled lives, earn for this mountain a difficulty level of 9/9. The first day of the presently recommended Sicapoo itinerary tackles the Gasgas river crossings immediately; in a way it is reminscent of the river crossings of Marbel river on an Apo climb via Kidapawan. In the first expeditions, the climb ends with these river crossings. Considering the treacherous nature of the Gasgas River, with over 20 separate crossings, some of which involves strong, chest-deep water, it is really for the best that this is done immediately; before lunch if possible, when the afternoon rains have not yet set in. The blogger has experienced for himself the dangers that a flashflood in this part of the trail can bring. These dangers notwithstanding, there’s some breathtaking scenery involved here, included rock formations along the rivers. After the Gasgas river crossings, one who take a relatively straightforward trail through tropical forests up to the Saulay campsite. 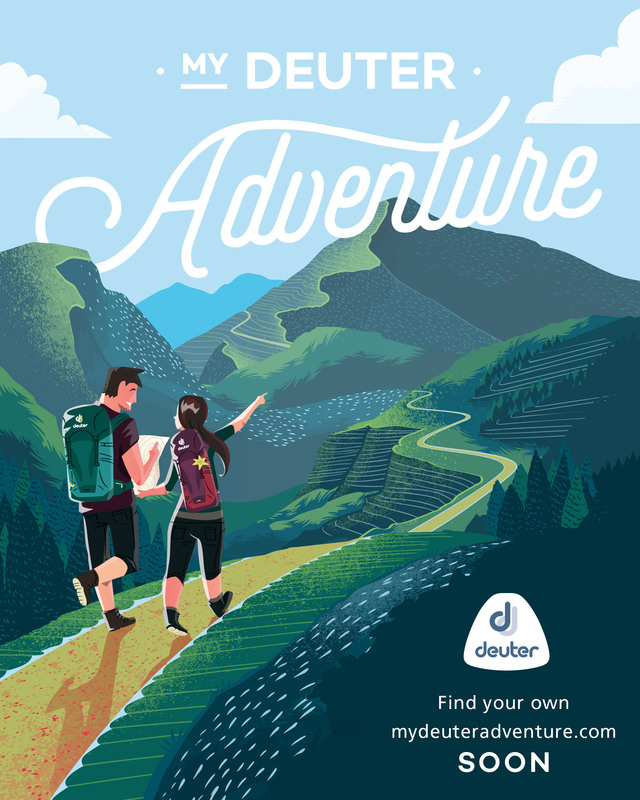 At this point, one would already realize why these mountains are called the “Nothern Cordilleras” – the pine trees and the cool breezes would bring to mind Benguet; indeed the latter parts of the trail have been compared to the traverse of Mt. Ugo. Day 1 ends at the Saulay campsite. The following day is a long march to Pakpako Campsite, which is already part of the Sicapoo mountain. In the first exploration climb we thought that Pakpako would take no more than half a day but in the succeeding climbs it was found out that several more peaks – and an entire day – would be required before reaching the campsite. Finally on Day 3, an assault to the very summit of Mt. Sicapoo is possible. 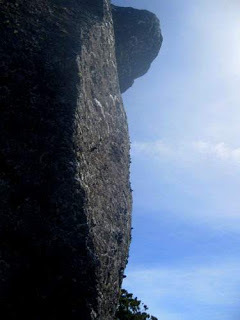 The rock formations – including the Penguin – perched on the very roof of Ilocos – greeted the first climbers. 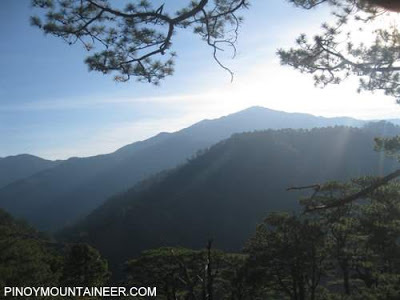 Although usually cloud covered, a clearing at the summit would reveal views of nearby mountains such as Agamomota, Kilang, Burnay, Siminublan (some of these have also been explored by One Degree Mountainering Group) as well as the nameless mountains of Apayao, which could someday open the exciting possibility of a Ilocos-Apayao traverse via Sicapoo. The way down will not bore the climber, as several new sights will be seen, including the twin mountains, Timarid and Simagaysay; the intervening Ugo-like trails between them; in a pine environment that is really very refreshing. 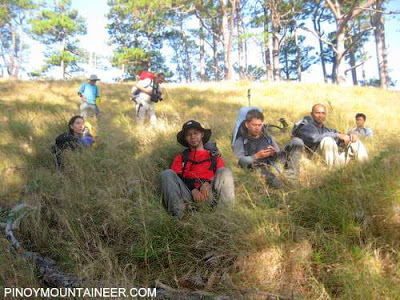 Beyond Simagaysay lies the grasslands, some trail-less parts, and finally, One Degree Plateau – so named because of its vast, flat slope, which is so close to the end that one can already celebrate the victory. We described it previously: “‘[One Degree] Plateau’, a vast expanse of elevated pastureland around 300 MASL, scenic for its views of Ilocos Norte and historic for the World War II battles that allegedly took place in its strategic location. A more palpable treat in the Plateau are the duhat trees that provide a delicious trail food as a buena mano in the expedition.” Since the itinerary has been reversed, the duhat would no longer be a buena mano, but a comido de celebracion. Certainly this mountain is more than enough reason to go to Ilocos! A description of a substantial portion of the trails is part of the Mt. Timarid/Simagaysay entry in PinoyMountaineer. Since a going all the way from Manila to do Timarid/Simagaysay climb would no longer be practical without involving Sicapoo, the former itinerary is somewhat obsolete; it will no longer be modified, but will remain as is to serve as a souvenir of pre-Sicapoo exploration efforts. The Gasgas river crossing is perhaps the most treacherous part of the trail; it is also one of the most breathtaking. Sight of “the Penguin” is the reward that greets the climber who is about to reach Mt. Sicapoo’s summit. A closer view of “The Penguin”. Morning view of Mt. Sicapoo, from the Timarid ridges. Although still steep, the open slopes of Timarid and Simagaysay are refreshing. Logistics. PinoyMountaineer endorses the necessity of coordinating with the ONE Degree Mountaineering Group, pioneers of this climb, when making arrangements for Mt. Sicapoo. They do not charge anything for this service, but do it out of love for the mountain. They have issued a a Climb Advisory in February 2011 which ought to be reviewed by everyone who will be climbing the mountain. ODMG can be contacted at onedegreemg@ymail.com. Transportation. From Manila to Laoag, a number of buses ply the route including Maria de Leon, Farinas Trans, and Florida Bus Lines. These liners have terminals in Espana along Lacson St. Fare is around P600 one-way as of July 2010. Temperature is cool, 13-20 degrees, at the summit of Mt. Simagaysay; expect colder figures at the higher campsites (Pakpako campsite is around 1800-1900 MASL). Cellphone signal is present (Smart, Globe) in most parts of the trail. 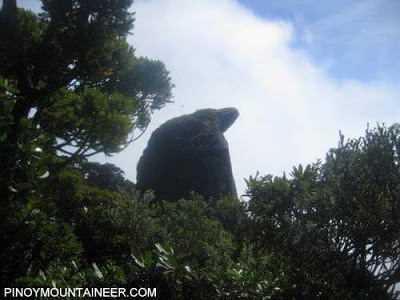 Possible campsites, aside from those mentioned in the itinerary, include the summits of Timarid and Simagaysay. There are usually nearby water sources for the campsites. The Ilokano pronunciation of Sicapoo is “shi-ka-puu” although there are variations. Some interesting facts about Mt. Sicapoo were already embedded in the introduction. The blogger, Gideon Lasco, and Iron Lady Jo Steven climbed Mt. Sicapoo in February 2011, setting a record for the fastest ascent and descent of the mountain. This climb was narrated in Hiking matters #129-131. One Degree Mountaineering Group: Archie Pinzon (TL), Aggie Pinzon, Louie Ang with Cecil Morella (AMCI), Lester Susi (AMCI) – see picture. PinoyMountaineer thanks One Degree Mountaineering Group for pioneering the exploration of this mountain, for sharing with us the documentation, and for accommodating the blogger to join him. Special mention also to Cecil Morella of AMCI who was part of the original team and went on to join the first ascent in December 2009. ← Hiking matters #92: Southeast Asia is our common heritage! 40 Comments on "Mt. Sicapoo/Traverse via Timarid-Simagaysay (2,354 +)"
We are planning to climb this mountain sana this Novemeber, just want to ask if sino po pwede namin ma-contact? Tried to email ODMG twice, pero no reply. Tried to search other ways to reach them, but I only came across an article that they are no longer arranging the climbs. Is this true? If yes, ano po status ng mountain and sino po pwede makausap? Thank you! Good day! We just went back from our 3D2N climb in Mt. Sicapoo. 8 river crossing, 8 peaks, 8th of October. The trip was worthwhile. 9/9 nga siya. Thank you Sir Gid sa info. It's a big help. For guide: contact Jimmy or Emilio Benito at 09279663365.